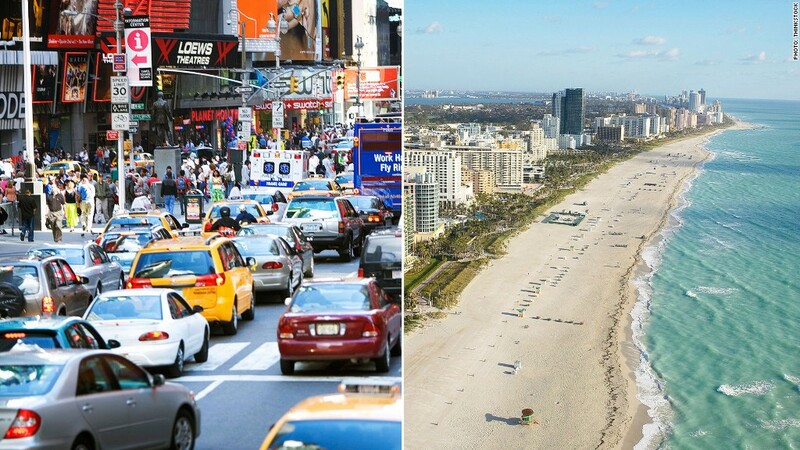 Moving from New York to Florida, or from any high-tax state to a low-tax one, may save money, but only if the move is done right. You might think that moving to a state with no income tax would greatly simplify your tax life. Not so fast. If you're not careful, it could greatly complicate things and cost you tons in back taxes and penalties. For example, if you are still planning to spend significant time in your former state, you better limit it to less than 183 days. Why? Spending any more time there could mean you'll be treated as a resident of that state and therefore have to pay tax. And it's not just days spent in-state that tax authorities may scrutinize. They will look at a host of factors to see if you legally owe them taxes despite setting up a new home elsewhere. "States will often take the most minute shred of evidence to make an assumption of residence and follow that path in pursuit of collecting state taxes," said CPA Jon Blakesberg of Boca Raton, Fla. This issue, of course, doesn't only apply to people who move to states without income tax. And it isn't exclusive to wealthy people, but they are more likely to be shuttling between properties in different states and end up in the cross hairs of the taxman. But other states may get more aggressive in pursuing former residents, now that technology lets them analyze data better and faster from places like the IRS, said Cara Griffith, editor-in-chief of state tax publications for Tax Analysts. To avoid suspicion and prove that you've established legal permanent residence in the new state, you'll have to jump through some hoops. As soon as you move, you should change your driver's license, car registrations, voter registration and mailing address for all bills and financial statements. You may also need to file a non-resident return to your old state if you earned any income there. Even a minor oversight could create a headache, Blakesberg noted. One client, for instance, moved from Massachusetts to Florida, but the custodian of his retirement plan kept withholding Massachusetts tax on his annual distribution. The client ended up having some back-and-forth with Massachusetts tax authorities to remedy the situation. It's also important to keep proof of how many days you actually spend in your old state. Requirements vary, but typically you must spend less than 183 days in a state to be considered a non-resident. "If you're straddling the line closely, be prepared for more scrutiny," said Kathleen Thies, senior state tax analyst at CCH. That's why tax experts advise clients who've moved to keep a meticulous travel log, complete with gas, toll and airline receipts, credit card records and the like. And be prepared for some weird scheduling problems. Still sit on the board of a company or other organization in your former home state? Better hope the quarterly meeting won't push you over the 183-day mark. Will your flight back to your former city get in at 11:55 pm? Those five minutes in-state may count as a day against your total. Now, no one's saying you can't maintain ties to your former state -- whether by having a bank account there or owning a property, or coming back to visit friends and family. But it's a matter of degree. Where is your most active checking account? Where's your main office? Where do you return to most frequently after a trip? If you go to church on Sundays, do you spend more Sundays at your old church or your new one? Same goes for country clubs and gym memberships. "The courts will look at the entirety of the record. It mostly comes down to 'Where is your life?' " said Verenda Smith, deputy director of the Federation of Tax Administrators.